Halloween has come and gone. 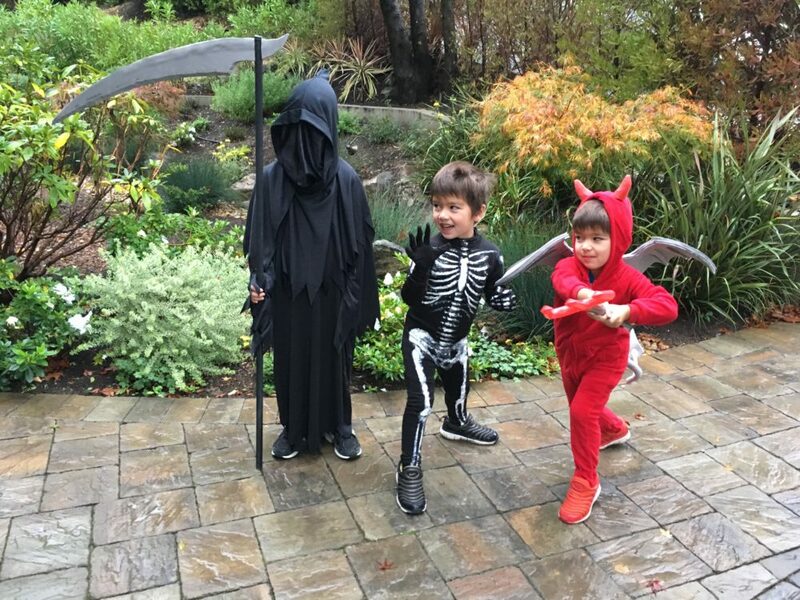 The boys decided we all go as scary things this year so I was a zombie with a harpoon through his heart and they were the Grim reaper, a Red Devin and a Skeleton. Lot of fun. 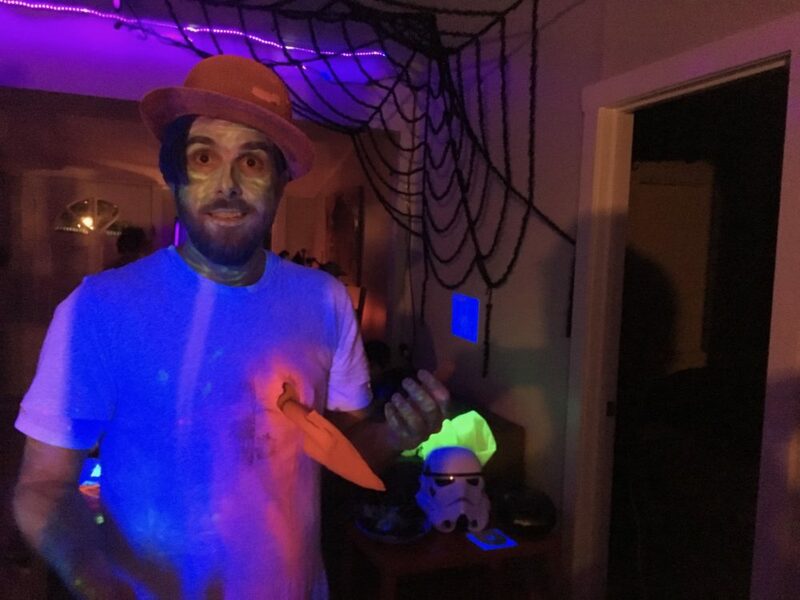 It rained pretty good this year so I set up a bunch of blacklights and set about drawing all over myself with highlighters.